Falling leaves, Thanksgiving, family...that can only mean thing: it's November! I think of gift-giving and (especially) gift-wrapping all year long, but once November hits, it's time to kick it up a notch to ramp up for December. 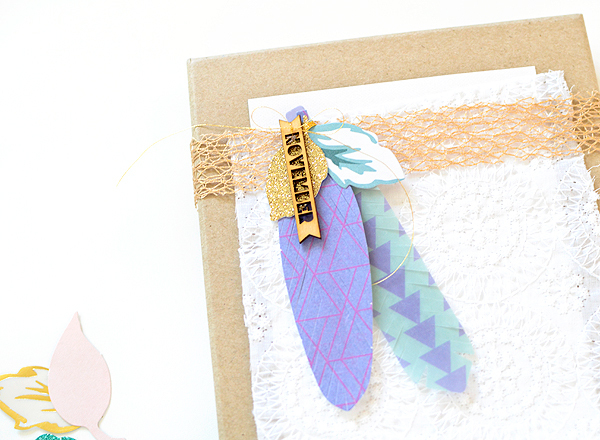 What better way to start than with some pretty (and easy) package toppers? 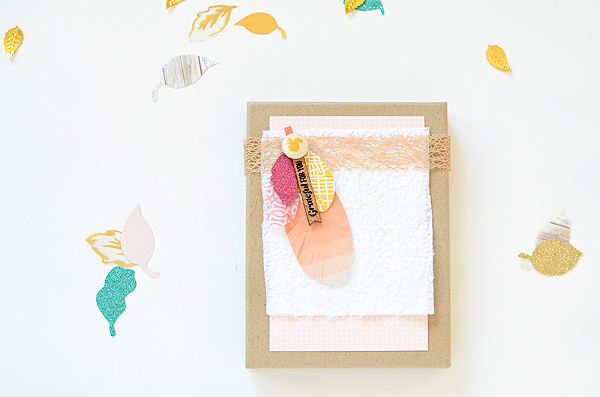 November's kits were full of gorgeous pieces and as I made my projects this month, I kept finding myself "stacking" the leaves from the LP Main Add-on together. 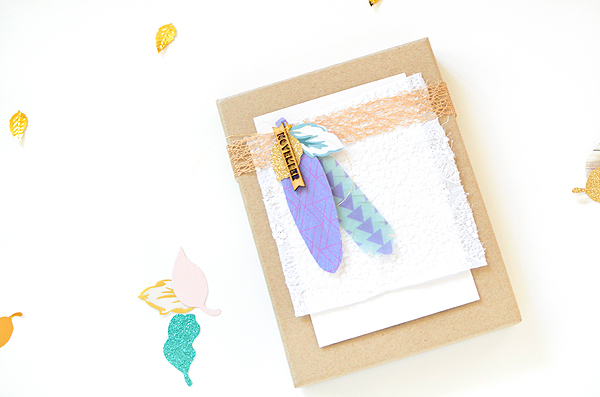 I had first thought of trying to make some kind of garland with them, until I put them together with the LP Themed Add-On feather pieces...then they became beautiful clusters that I thought would look really lovely on top of packages. 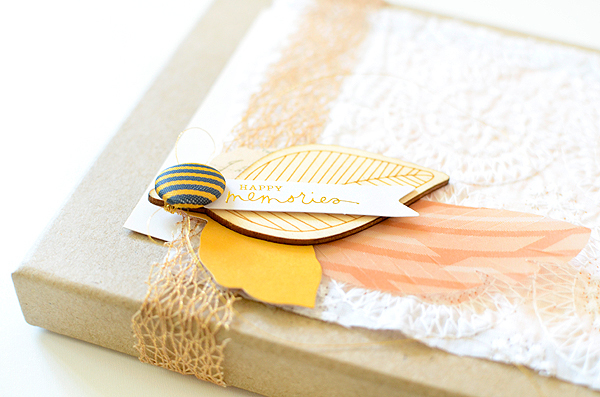 Packaging is perhaps my most favorite craft to create...the possibilities are endless and just like with other paper mediums--scrapbooking, card making, etc--it's fine to keep it simple or to go all out and cover your entire platform. For these, I wanted to have a couple of layers and textures while keeping the main focus on the cluster of die cuts itself. 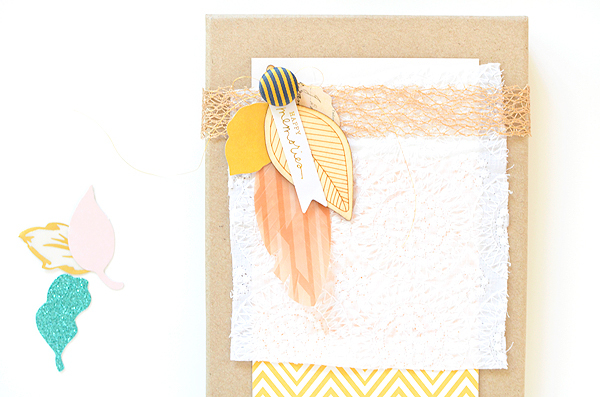 With autumn in mind, I gathered feathers and leaves from the same color families. Warm colors always work well for fall but I even brought in one bouquet of cooler teals and purples. 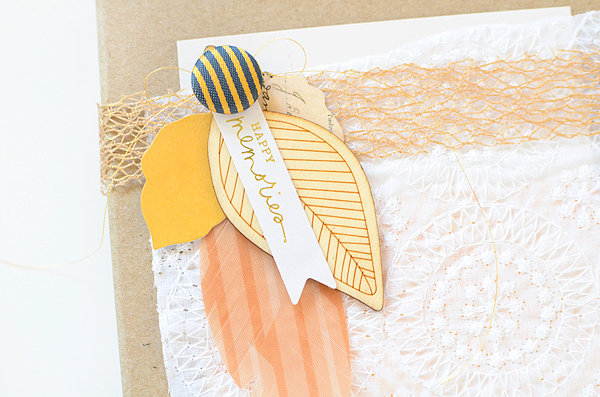 When paired with gold, they suit this season just fine--and look quite lovely doing so! I added a long, skinny sentiment to each topper. 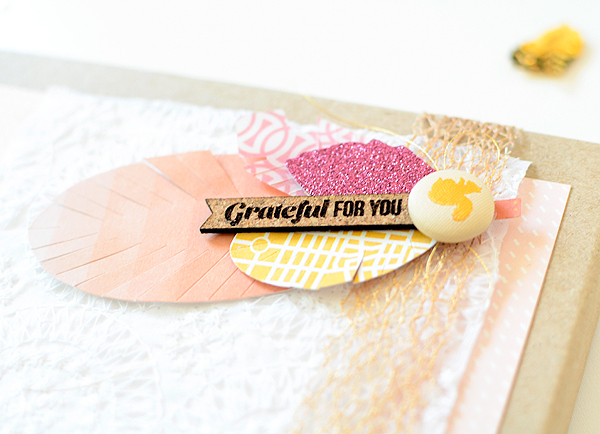 I went with mostly fall-ish phrasing--November, "grateful for you," "my heart is full"--but you can switch out the sentiments with your recipient's name or to suit your occasion. 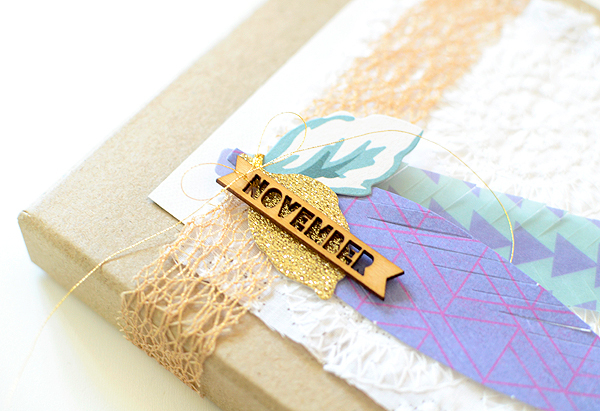 The November kits offer all kinds of possibilities, and don't forget about the Gossamer Blue collections, either--I pulled two of mine from them! The package base is a kraft box mailer in 2 sizes (4" x 6" and 5" x 7"). 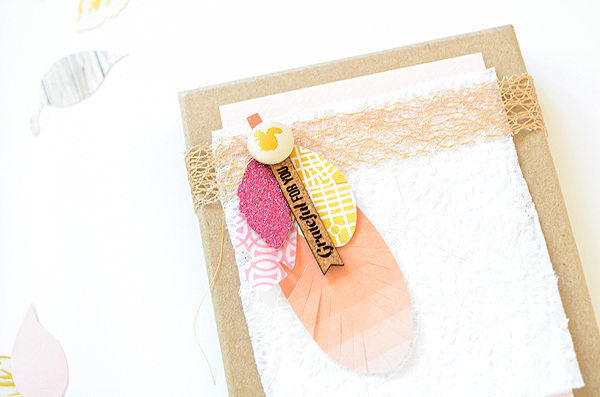 I like using kraft boxes and paper because they go well with EVERYTHING! They can be rustic, modern or anywhere in between. The boxes are a good size to hold some personal stationary or even a set of nice cloth napkins...simple but personal gifts for a friend's birthday or your hostess at Thanksgiving dinner. 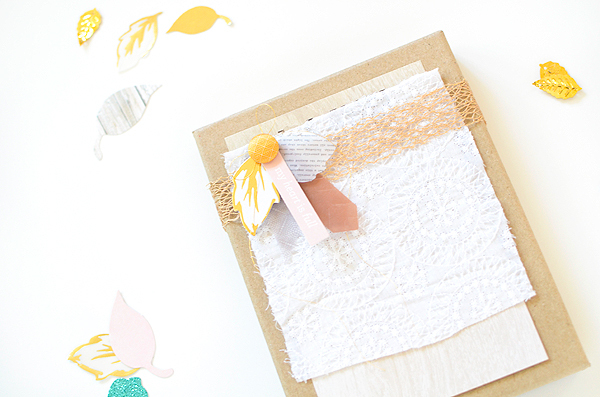 Because I wanted some texture, I chose to layer some stitched white fabric over 4x6 journaling cards from the Life Pages Kit. I chose the cards that best matched my cluster. 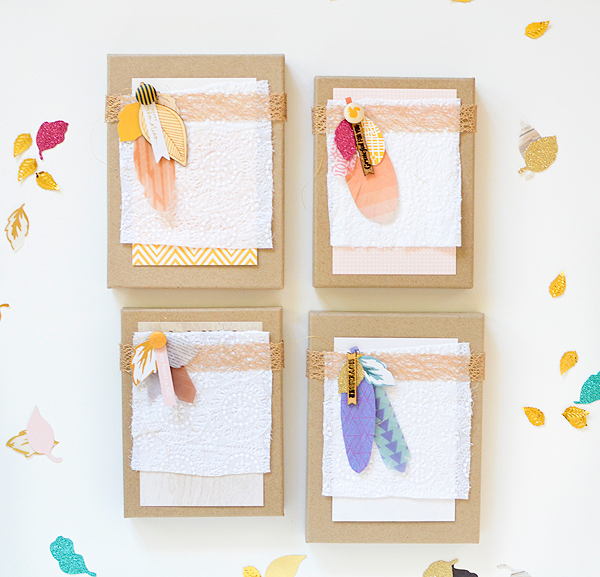 I then wrapped gold trim around each box and attached my stack of feathers and leaves with a dab of glue. 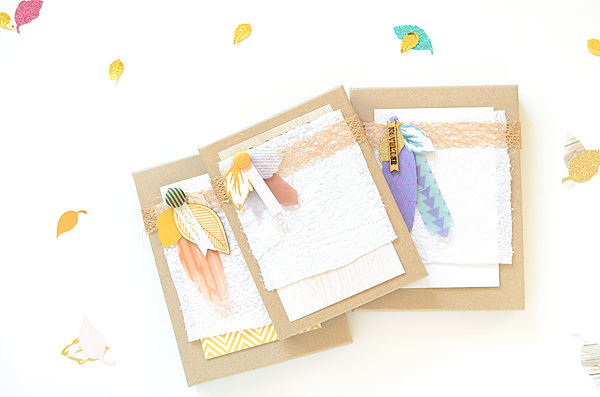 These came together pretty quickly and the best part is that I still have plenty of leaves and feathers to make more! Happy crafting! 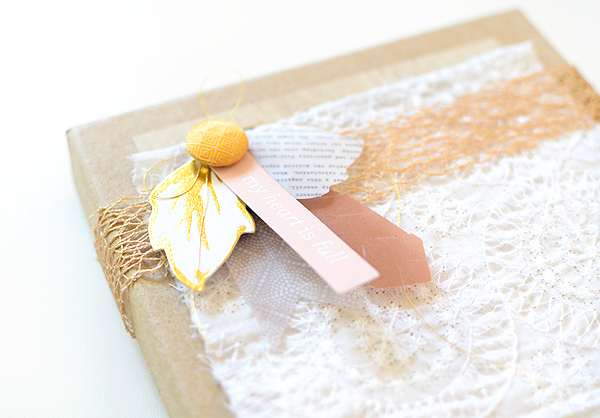 I'm so very inspired by you....such gorgeous wrappings! Awww Rebecca, I love these!!! !